The largest travel groups love the 56-passenger MCI coach because it’s both spacious and accommodating. While other models give you a limited supply of comfort, this charter bus is designed to give you a superior riding experience. No matter what their needs are, the enhanced safety features, premium amenities, and spacious seats will satisfy even the most fickle of passengers. 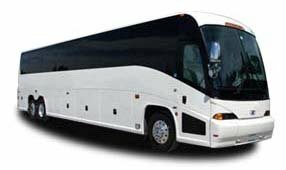 Chicago Charter Bus Company provides 24/7 support, and you’re guaranteed to get a fast, professional reservation specialist any time you call. If you’re ready to book a trip, call us today at 312-667-0906.